Last year Red Gate purchased ReadyRoll, a tool to help you manage your SQL Server source code and deployments. It seemed an odd choice at the time given that it was largely incompatible with Red Gate’s traditional stack for Database Lifecycle Management (DLM): SQL Source Control, SQL Compare and DLM Automation (as well as the rest of the SQL Toolbelt). However, as I discussed last year, there are two fundamentally different ways to approach DLM: migrations or state. Each has pros and cons. Most are better suited to working one way or the other. Now Red Gate has you covered both ways. We can also offer unbiased advice about which way of working could suit you. ReadyRoll has features to resolve all of these issues. 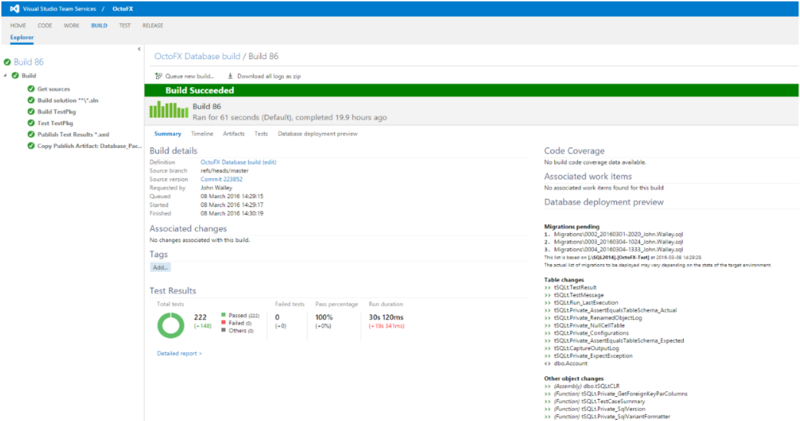 ReadyRoll also lives in Visual Studio and fits very neatly into the Microsoft source control, build and deployment stack with plug-ins for both VSTS and TFS on-prem (and also Octopus Deploy). As a result, it has proved very popular with Microsoft, who only have the state-based solution in the form of Visual Studio Database Projects and SSDT. Microsoft have invited Red Gate to come and do a session about Database Deployment and ReadyRoll at DevOps Tech Day, an otherwise exclusively Microsoft event of free training that covers topics such as infrastructure as code, configuration management, continuous delivery and application monitoring. I’ll be teaming up with Alex Tercete (b|t), one of the ReadyRoll developers, to deliver a session about Database Deployment. If you’d like to learn more about how to effectively use the migrations approach for SQL Server development come along. ← I’m back – and I’m excited about INSIDE-SQL!